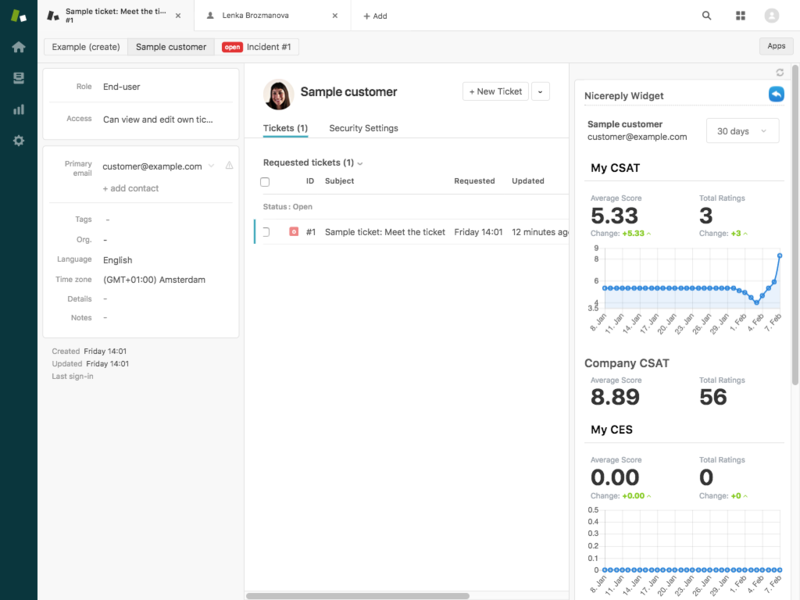 Besides Nicereply integration with Zendesk support and Zendesk chat you can now see your data directly in your Zendesk account. After installing Nicereply widget you will see company ratings, dashboards, total number of ratings and average scores directly in Zendesk. 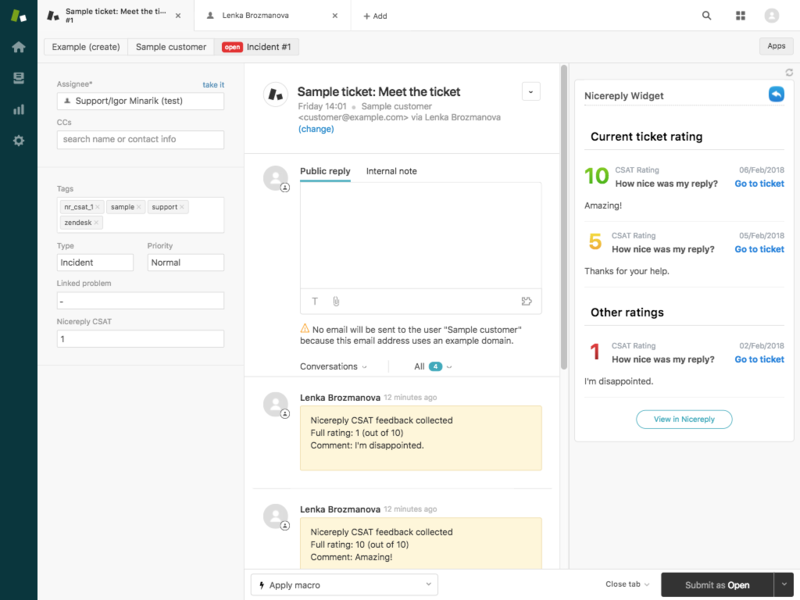 The ratings will be also sorted by specific agent, customer, ticket, or you can see ratings for the whole company. Note: In order to use Nicereply widget you need to have an existing integration with Zendesk support. You will be re-directed into your Zendesk account settings, where you need to insert your Nicereply public API key. 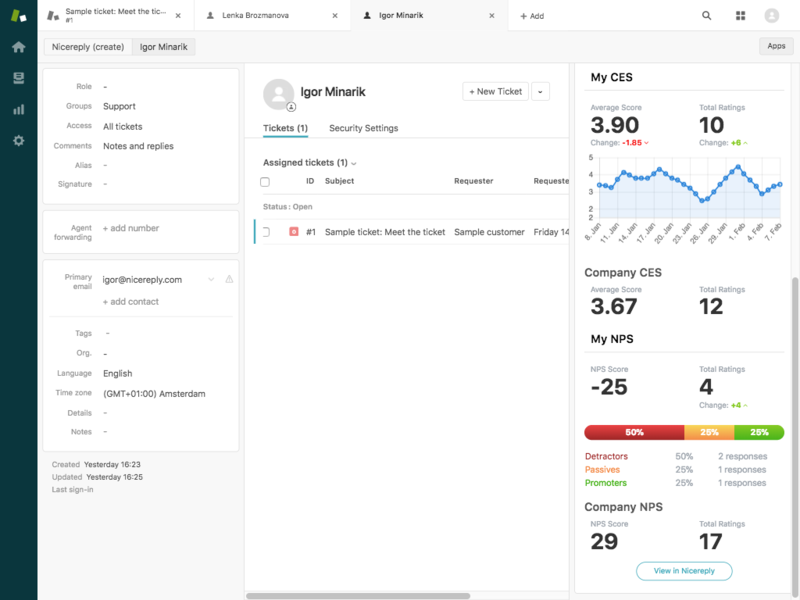 Nicereply will utilise your existing integration with Zendesk support and from now on you will be able to see your data from Nicereply directly in your Zendesk account.